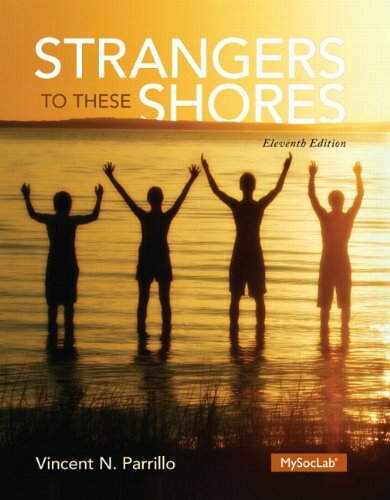 Strangers to These Shores, 11/e, offers a conceptual and theoretical overview of one of the most interesting and dynamic fields of study – race and ethnic relations. Racial issues are examined through different sociological perspectives, giving students a basis for examining the experiences of different minority groups. Readers will not only see how racial and ethnic groups came to be, but also how they are changing and how they will continue to change in the future. MySocLab is an integral part of the Parrillo program. Engaging activities and assessments provide a teaching and learning system that helps students examine the experiences of different minority groups with Core Concepts Video Series, explore real-world sociology through the new Social Explorer, and develop critical thinking skills through writing. This title is available in a variety of formats and prices – digital and print. Pearson offers its titles on the devices students love through Pearson’s MyLab products, CourseSmart, Amazon, and more.